I'm inspired by hot chocolate with marshmallows and ponies with rainbow manes. I believe in the generosity of people and that good intentions triumph over bad decisions. I also believe in the value of the dollar and making money so we can do greater things. And I love to surround myself with people who are passionate about what the do and why they do it. Alta is the kind of place where I can find those kinds of people and I'm thrilled to be part of a team. Carolyn Sullivan obtained her BS in Accounting from the University of San Francisco in 1990. 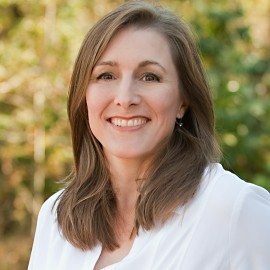 During her 20+ year career she has worked in a variety of industries but has focused much of her experience in professional service firms as that is where she has found nearly limitless opportunities to influence and grow others and contribute to both the financial and personal success of those around her. By creating a stable financial footing, she has enabled management teams to focus their efforts on building strong cultures that value people and their contributions. She takes pride in these successes and is excited to do the same at Alta.